Greetings. It's been a while since i post a thing here.. bit boggled with some IRL issues. But well here i come. So what i shared is, kinda small project of mine based on my interest toward radar. The AESA Radar range calculator here is an excel spreadsheet, made based on several books like SKolnik's 3rd Introduction to Radar system, Stimson's 2nd Edition of Introduction Airborne Radar and others. The calculator will attempt to predict radar ranges based on inputted variables and taking account of some important things that for some reason not considered by other calculators like pulse integration, scan sectors and most importantly the antenna weighting scheme. As we know AESA Radar or perhaps even its Hybrid Array sibling like N011M Bars is capable of actually altering its radiation pattern, based on algorithms like Taylor, Cos, Hamming. etc. Even special algorithm has been developed for AESA. The change in radiation pattern allows reduction in sidelobe, beamwidth optimizations, or even total split of the aperture into several smaller one for search. In cost of efficiency and angular resolution. This calculator however are still what you call as "Noise limited", basically it's not taking account things like ground clutter or weather. However i think for case like high altitude combat, it's good. It has simple interface and i believe quite easy to understand. critics and suggestion are welcome. Very detail , i love it. Great work.. congrats.. far more advanced and detailed that I could ever have gathered together..
one thing if I might ask.. is it possible to upgrade a radar with an antenna of a certain aperture and certain amount of elements by replacing the antenna with a different one with larger TRM count? Say your APG-77 has 2,000 TRMs, today, could it get a 2,700-TRM array one day? I am quite sure that the R&D and technology enable to pack the TRMs into tighter space, but ain't the physical dimensions of the emitter/receiver limited/dictated by the respective radar band? What are the parameters which control beamwidth? 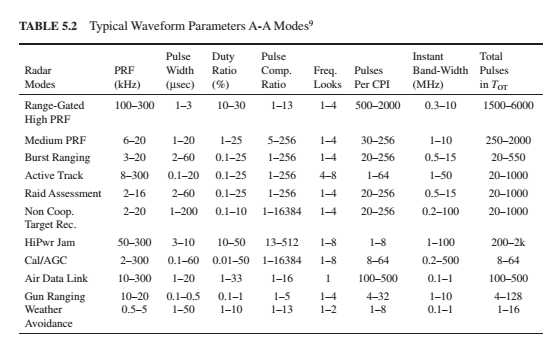 I always taught about a AESA that concentrates the RF energy via resonance and hence achieves greater ranges. At some point the amount of airspace electronically scanned would increase the time for a complete scan of the hemisphere too much. But for specialized purposes such as target illumination, could the beamwidth be significantly improved compared to a PESA? The beamwidth of the AESA is directly controlled by the number of its elements, which govern the physical dimension of the antenna. Weighting algorithm can later be introduced to control radiation pattern. However one cannot really make beam narrower unless the antenna is enlarged. The resulting beamwidth is later multiplied by the "Beamwidth factor" or "K" from the tapering algorithm drop down menu. Great work.. congrats.. far more advanced and detailed that I could ever have gathered together. Apparently that's the plan for US AMDR Radar, where they have some sort of "common module" block. So what you need to "upgrade" is Physical space. For fighter radar tho, i am not so sure as the space and power generation there is very premium. There is of course another consideration of using less modules than what an antenna can actually accommodate like cost or RCS reduction, from edge treatment. Other possible consideration is cost as we know TR module is still an expensive item. Cost issue become critical if you desire to use higher frequency (say 94 Ghz AESA) and wish for a full array. you would need thousands of modules. The size of the AESA T-R module is governed by physics. The width is the primary dimension, where it need to be about half wavelength. So for X-band the module's width would be about 1.5 cm for 3 cm operational wavelength. Technology can only goes as far as packaging, cooling and materials. Last edited by stealthflanker; 20th March 2017, 21:16. Slight updates to the calculator. The Required SNR variable is now automatically calculated by the spreadsheet. As you see no more SNR variable. Instead it's become part of the calculated variable. The calculated SNR is for 90% probability of target detection. Which allows lock on. Thus the R90 in the bold coloumn is the range where target could be locked on by the radar and later fired upon by the radar platform. The R50% is the range where target detection probability is 50%. Such range is where radar might detect and track the target But not having the confidence of locking it for weapon system employment. It may however be used to cue other fighter aircraft or higher resolution sensors to establish more confidence on what being detected, is it real target or just false alarm. So many variables iam overwhelmed with choices. what do you mean @moonlight ? for laymen it would be easier if there were just several choices, and everything else was approximated (average and/or generic values used), even if it meant significantly greater errors. Anything other than these variable might confuse most people: output power, antenna diameter, target RCS, wavelength. @totoro Thanks for the input. Let's see what i could do. Using approximations is good however the calculators may lost its flexibility. and some variables like PRF can't really be "automated" unless locking the calculator in specific frequency (say X-band) But we will see. Improvements time. Trimming down some variables and Provide pre-calculated one. The calculator basically remains the same BUT hopefully it's more user friendly. The cover page now feature less clutters and lesser amount of input. 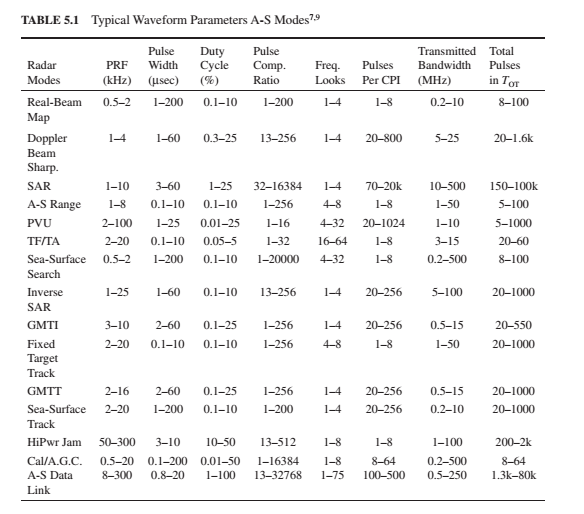 Unfortunately as i said previously, pulsewidth and PRF cannot really be "automated" as it depends on the radar mode. Eliminating them will essentially locks the functionality of the calculator to X-band. While we know Russian developed L-band leading edge radar. and we have AEW AESA radar such as APY-9 and Elta Phalcon. The second page of the calculator contains the pre calculated variables. One may still edit them. However it could be left as is. The pre calculated variables are based on generic information provided by radar literature in my possession. Hopefully it could be more useful and easier to use. However feedback and input are appreciated. is it possible to upgrade a radar with an antenna of a certain aperture and certain amount of elements by replacing the antenna with a different one with larger TRM count? Unless the modules were larger than half wavelength for some weird reason, the answer is no. If you tried to space the modules closer than lambda/2, you'd end up with multiple beams going in different directions. Not very useful for a radar. VERY complicated, but certainly not impossible AFAIK, changing time shifts no? lambda/2 is linked to 60° value isn't it? Last edited by garryA; 2nd September 2017, 08:53. Anyway Lambda/2 spacing from image above give scanning without grating lobes. Any other spacings be it less or more should have other consideration on choosing like say economy. The risk associated by using other form of spacing for ESA elements are limited steering angle. One example is ESA modules in TOR-M1 system which have wide spacing of lambda*3. The Russian designer opted such scheme for economy while providing best aperture area and gain possible. Whle accepting electronic steering angle of only 7 degrees. I mean there are too variables so i don't know what to choose to calculate range. For example: I want to estimate air to air range of radars like APG-77 and APG-81. But i have no idea what to put in Doppler filter per band or system loss budget. Even pulse width is hard for me to decide, especially with technology like pulse compression. Basically what said by totoro. Last edited by moon_light; 2nd September 2017, 13:29. Scan time frame: 9 seconds for full search volume. Last edited by mig-31bm; 5th September 2017, 05:07. When I reduce the radar scan sector angles I would expect a rather proportional increase of detection range, but sometimes there is even an decrease. Is the aperture gain included in the spreadsheet so that there is a limit from which on no increased detection range can be achieved by confining the scan angles? The limit lies in the pulse integration loss. Not all of them can be integrated by the radar, and thus integration loss occurred. This in radar range equation will actually increase the required signal energy for target detection.